An historic walk through Colter Bay Village with Grand Teton Lodge Company Historian Mary McKinney is a fascinating walk back through time. Listen how the valley began to develop and dude ranches dotted the landscape. Hear how John D. Rockefeller Jr’s vision and generosity assisted in preserving this wonderful landscape. 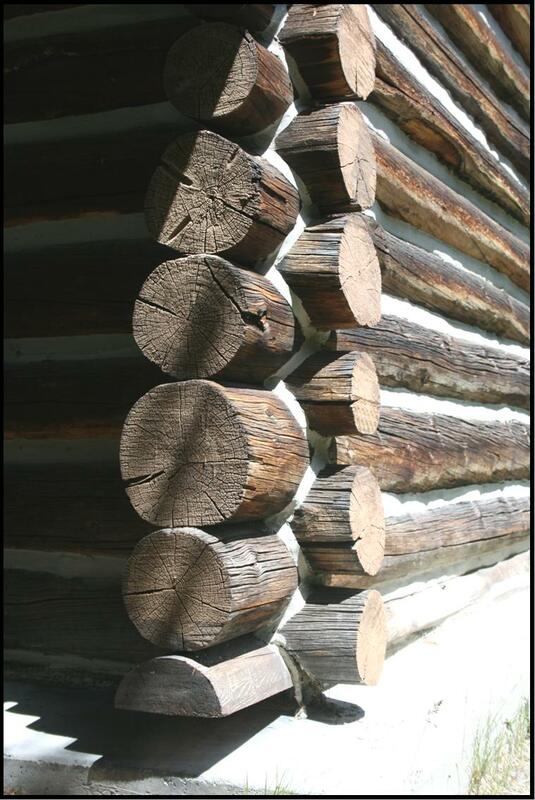 Compare the differences of how these early dude cabins were constructed and with what unusual materials. Laugh at how our housekeeping cabins were once “Chic Sales”. Colter Bay Village actually represents an eclectic collection of cabins from various sites around Jackson Hole. The cabins at Colter Bay serve as a window into the past, giving guests the chance to experience a bit of history during their stay. Though the cabins have been modified to accommodate plumbing and electrical needs, they have been restored and maintained to reflect as close a representation of their original construction as is possible. 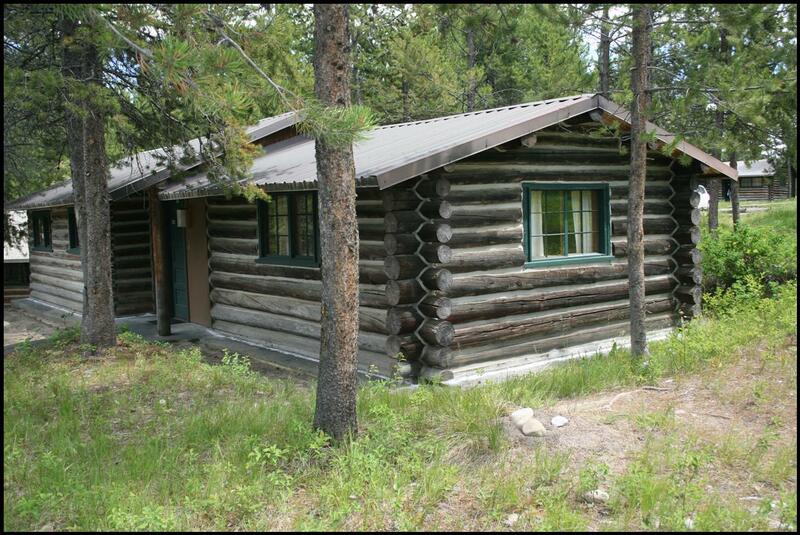 Many of the cabins were constructed in the 1920’s and 1930’s, but some date back to the late 1800’s. 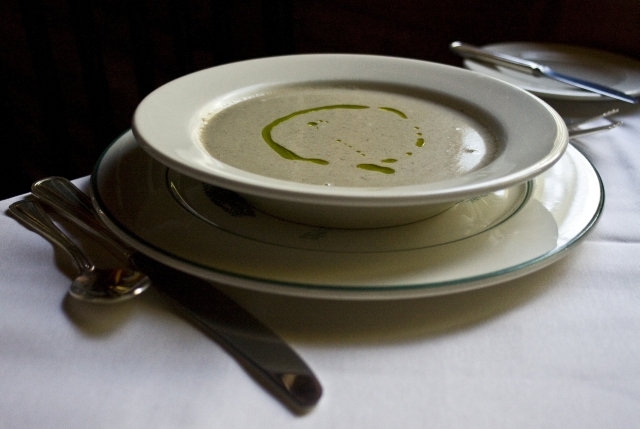 As tourism in Jackson Hole began to flourish in the early 1900’s, accommodations began to sprout up all over the valley. The result of this influx of tourists was the beginning of dude ranches in Jackson Hole. A typical dude ranch was composed of a central building surrounded by many smaller guest cabins. The largest of these resorts was the Teton Lodges at Moran, located at the site of the old town of Moran below Jackson Lake Dam. As one of the driving forces behind conserving Jackson Hole, John D. Rockefeller Jr. had bought thousands of acres of property with the intent of donating it as part of a national park. 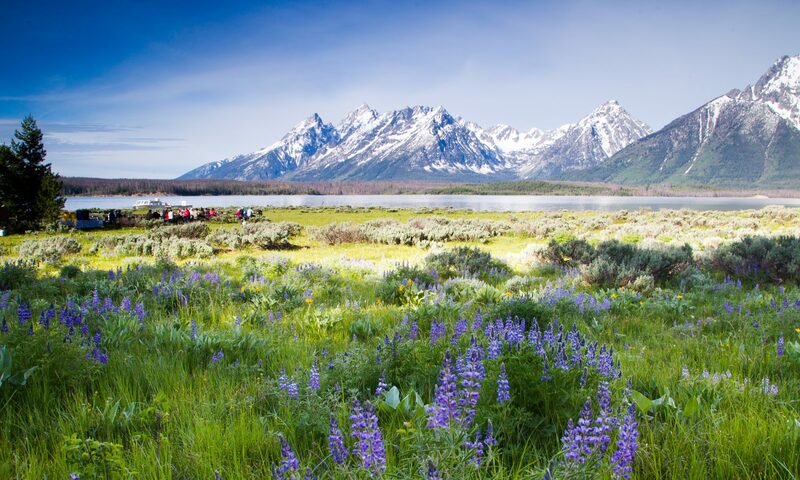 When Grand Teton National Park was expanded in 1950 with Rockefeller’s donation of 34,000 acres, it became apparent that guest accommodations in the park were inadequate. With funding from Rockefeller, the park service began to develop new visitor facilities and remove older resorts as they wanted to restore much of the park to its natural state. After the completion of the new Jackson Lake Lodge in 1955, the Colter Bay visitor site went into development. Cabins were transplanted to Colter Bay from the Teton Lodges at Moran, the old Jackson Lake Lodge resort, and the Square G Ranch (located near Jenny Lake) among others. In 1957 the cabins at Colter Bay Village were opened to the public. Over the years many of the other dude ranches and resorts closed or were donated to the park, and Colter Bay Village grew with the addition of the cabins from these various sites. Today there is no trace to be found of many resort sites that now makeup Colter Bay Village. All the cabins from the old Jackson Lake Lodge that were not transplanted were destroyed. After picking up much of the town of Moran and transporting it to Colter Bay, the remaining structures were demolished in 1957. Only the post office still survives, transported to present-day Moran near the park’s east entrance. Ms. McKinney’s interpretive historic walk is complementary and is scheduled each Tuesday and Friday afternoon at 5pm. 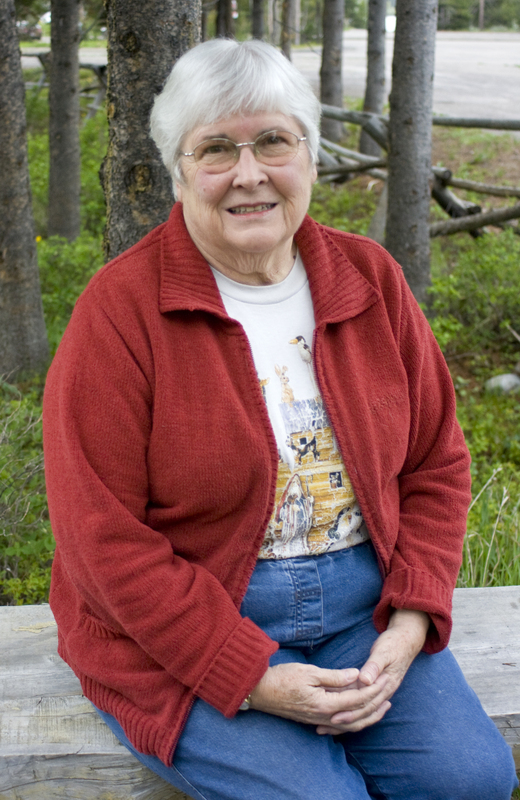 Meet Mary for a wonderfully delightful afternoon at the Colter Bay Village Cabins Guest Lounge. I had an opportunity to join Mary on one of her tours and it was delightful. Mary is a wealth of knowledge when it comes to history of the area and she has such a great sense of humor. Please take some time while visiting the Tetons and Jackson Lake Lodge to visit with Mary on one of her tours. As a former resident of Colter Bay, I cannot recommend a better guide through this special little village than my friend Mary McKinney…a special lady in her own right! We had the good fortune to go on one of Mary’s cabin tours. She shares the history of the area like she is talking about good friends – personalizing the tour and keeping it fun and interesting. We considered our time with her to be one of the highlights of our trip.